One day Stanley Lambchop wakes up and he is flat. During the night, a bulletin board has fallen on him and changed his life. After several adventures, Stanley is finally inflated back to original form. These lessons on the book Flat Stanley will encourage a love for fun characters and reading in general. Objective: Students will learn about how characters are developed and be able to create an interesting character. Procedure: Tell students that character development is an important part of a story because it keeps readers interested in the book. If a character is well-developed, one can imagine the character without seeing a picture of him or her. In addition, a good character learns something or goes through some sort of change. After reading Flat Stanley aloud, students will write down characteristics of Flat Stanley. After folding a piece of paper into two columns, students will have two headings: Physical Traits and Personality Traits. An obvious physical trait is that Stanley is flat. A good personality trait is adventurous. Under each personality trait, students should list an example. For instance, Stanley is adventurous because he travels and is not afraid to fly in the air like a kite. At the end of the book, students should decide whether or not Stanley has changed. While a physical change is apparent in the book, an emotional one is harder to detect. Next, students will create a new character for a sequel to Flat Stanley. The new character could be a friend or foe, a pet or an extended family member. Students will draw a circle in the middle of a blank piece of paper. In the circle will be the name of the character. Then, the student will draw three big circles on one side of the paper and three on the other. On one side will be the physical description and the other will be the personality traits. Assessment: Students will write a short descriptive paragraph about their character. The paragraph should include both physical and personality traits. Objective: Students will write down important events that lead to a climax in the story. In addition, students should be able to use their "mountain of events" to write a summary. Procedure: Flat Stanley has many exciting events. He gets mailed. He slides under doors and he even is flown like a kite. Explain to students that each story has a beginning, a middle and an end. In the beginning of a story, characters are introduced, the setting is revealed and often times, the character encounters a problem. In the middle of the story, interesting events unfold until the character reaches the climax of the plot. Then, things calm down, the conflict is resolved and the story ends. In essence, the plot of a story sort of looks like a mountain. Have students draw a mountain on a blank piece of paper. At the base of the mountain will be the characters and setting. Next, have students "climb the mountain" and write about the problem. After that, they should include the important events. At the peak of the mountain should be the climax or most exciting part of the story. On the other side of the mountain, students will write about the resolution and falling action. Finally, have students color and decorate their mountain. Assessment: Using their mountain, have students write a summary of Flat Stanley. Objective: Students will review similes and write comparisons using the word flat. Procedure: Tell students a simile is a comparison between two objects using like or as. Comparison is important because simply having the word "like" or "as" in a sentence doesn't make it a simile. Stanley was as flat as a pancake. This is a simile. Stanley is a pancake. This is not a simile. After reviewing similes, have students brainstorm a list of things that are flat. Some ideas are paper, pancakes or a poster. Next, have students write three similes using the format Stanley is as flat as a _____ or Stanley is flat like a ____. Finally, have them illustrate their favorite simile. Stanley looked like he was stepped on. Stanley was like a squashed piece of gum. Stanley likes to be adventurous. Stanley was as flat as a squashed piece of gum. Numbers two and four are similes. What If You Were Flat? Objective: Students will use knowledge of plot and character development to write a story. 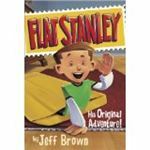 Imagine you are flat like Stanley. What would you do? How would your life be different? Assessment: Teacher will look at finished stories. Students should have a beginning (setting, characters, conflict), middle (series of events, climax) and an end (resolution, falling action). In addition, they should have well-developed characters. Objective: Students will learn the difference between one, two and three dimensional objects. Then, they will make an art project utilizing the three mathematical terms. Procedure: First draw a line on the board. Explain that this is a one dimensional object. Only its length can be measured. Ask students to think of other one dimensional objects. Next draw a "Flat Stanley" on the board. Explain that Stanley is a two dimensional object because he has a length and a width. Essentially two dimensional means having an area but not a volume. Again, ask students for examples of 2D objects. 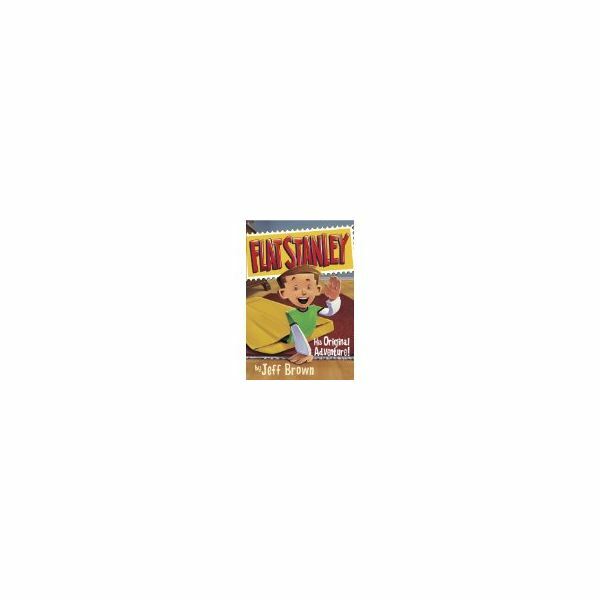 Show students a cutout of flat Stanley (see link below). Turn him sideways to show that he doesn't have thickness to be measured. This is what separates a 2D object from a 3D object. Finally, draw a cube on the board. Explain that three dimensional objects have a length a width and a height. Assessment: Students will make an art project using one, two and three dimensional objects. For instance, a student could make a two dimensional person wearing a shirt with one dimensional stripes and holding a three dimensional yo-yo. These short Flat Stanley lesson ideas cover a multitude of subject areas. After completing these activities students will have a better understanding of plot, character development, similes and different math dimensions. Even better, they'll have a fun time connecting to this adorable character.